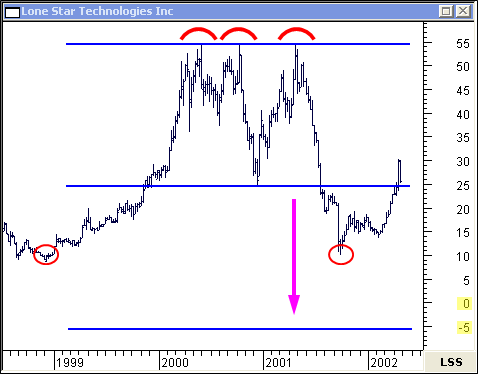 he Triple Bottom and Triple Top patterns can signal the end of the current trend. Learn how to exploit these powerful patterns for profit. 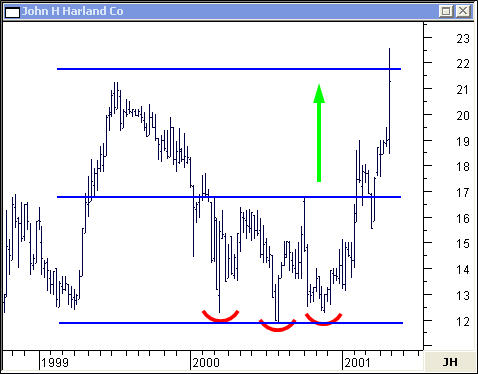 The Triple Bottom on this weekly chart of John H Harland Co developed in a relatively short period of time... in less than a year. After the break-out, it quickly advanced to meet its upside objective. 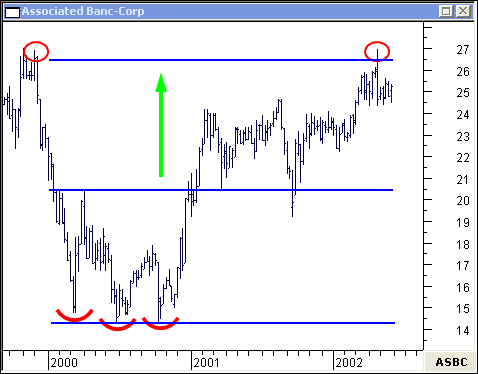 The forecasted price objective was eventually triggered on this weekly chart of Associated Banc-Corp. Not surprisingly, it was coincident to the 1999 high. 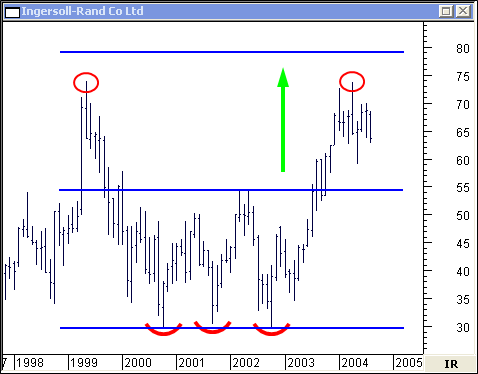 The price action was stopped short at previous resistance on this monthly chart of Ingersoll-Rand Co Ltd. The Triple Top pattern is bearish in nature... confirming stiff resistance and an end to the trend. 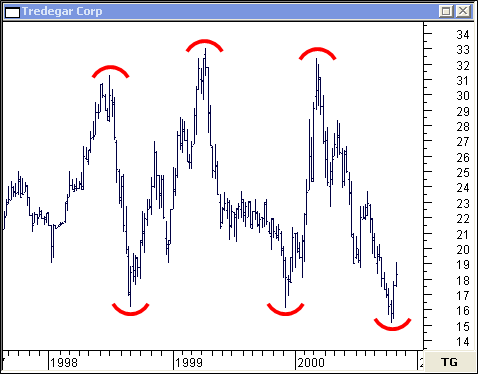 This weekly chart of Tredegar Corp shows an extended triple top. Or... is it a triple bottom? Most likely a long term trading range. This quick-forming top eventually landed on its price objective in this weekly chart of Alaska Air Group Inc.
On this weekly chart of Lone Star Technologies Inc, the projected price is negative $5... an unlikely scenario. 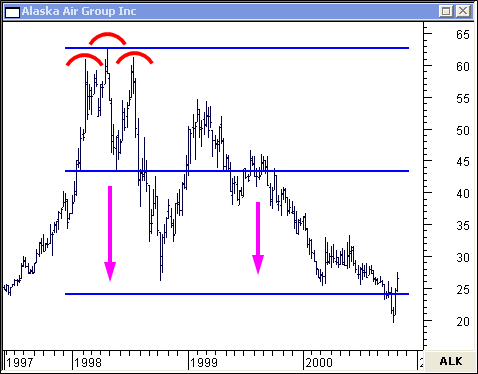 Instead, it found support at the 1998 low. When forecasting price objectives, common sense prevails!